Whats all this fuss about the Red Chair? The chair had so much fun exploring the nooks and crannies of Cape Cod, it was chomping at the bit to venture further into New England. At the same time, innkeepers throughout New England following the adventures of the Red Chair requested their own photo sessions with the Red Chair. The next thing we knew, a New England journey was being planned for the Red Chair, and each of the Distinctive Inns of New England are on the list to host the chair! 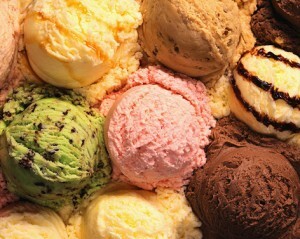 July is ice cream month – let's have some cool fun!